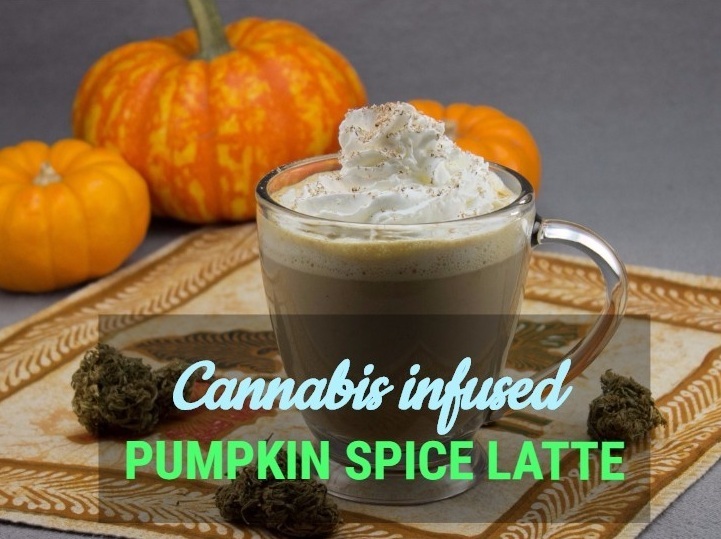 Given the wide variety of coffees on the market, it was only a matter of time before a cannabis infused pumpkin spice latte came to the fore as a popular recipe. Coffee is a superfood and cannabis can complement its effects to a large degree, so you can have fun mixing different types of marijuana with your favorite blends of coffee for your preferred effects. We will no doubt soon be seeing popular coffee shops start offering cannabis coffee in allowed locations. The following recipe only takes 15 minutes to make and serves two people, so you and a friend can sit back and enjoy a relaxing (and stimulating) cup of coffee. The recipe uses cannabis infused maple syrup with honey and ginger but you can use your own cannabis infused variety of maple syrup or honey. Heat the spices and the canned pumpkin in the saucepan over medium heat and add some black pepper (if you prefer). Let this cook for a couple of minutes stirring constantly. Add the vanilla and milk to the mixture stirring all the while. Remove from the heat and add the cannabis infused honey ginger maple syrup. Stir until the syrup is fully integrated into the mix. Add the mixture to the blender and blend until it is nice and frothy. You now have your delicious mixture. Brew some strong coffee or whatever type of coffee you like, divide between the twomugs and top it off with your cannabis milk cream mix. For a more authentic latte, get rid of the brewed coffee and replace with two shots of expresso. You can also top the mixture with some whipped cream and add some nutmeg for a truly awesome mix of coffee. Enjoy!